Protective devices are an indispensable part of system protection for the operation of electrical equipment on a grid, e.g. the grid of your utility company, or at grid connection points, e.g. a co-generation plant. Protective devices may be, for example, electromechanical, electronic or the widespread digital protection relays. In other words: Protective devices are relays that protect the genset quickly and reliably in case of time-based overcurrent, undervoltage, overvoltage, underfrequency and overfrequency at vector jumps (voltage-current offset) and serve to disconnect it from the grid. Do your protective relays still meet the requirements specified by your utility company and are they still adjusted correctly? Both new gensets and modified or extended gensets must be inspected to demonstrate compliance with the relevant engineering requirements (VDE) prior to commissioning and subsequently at regular intervals with appropriate proof. This gives rise to the following questions: Are your protective relays generally adjusted correctly? Do they still comply with the requirements and values specified by your utility company? Will your protective devices be able to disconnect the genset from the grid in case of a grid fault? We are able to tell you! 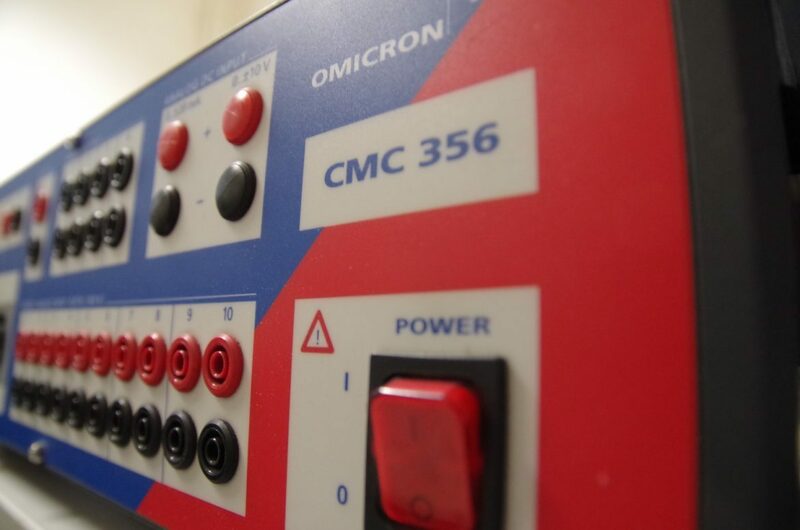 Our Omicron test tools of the CMC356 series allow us to test protection relays of any type, including e.g. the devices of the companies DEIF, Woodward, SYMAP, AEG, and many others. PPU, EasyGen, DIA.NE, GSK6, MFR1, 2, 3, ESDR4, XI1, MRI3, MRG3, MRD1, MRA4, U200, U1010, F1030, F200, PPU2, XU2-AC, KZR-4S, DPC 01 DM 48, MUREG 311, GWG2-2, XU F1, SY 175 380 etc. Subsequent to testing a protective device, you receive a test report as proof that your genset will be disconnected reliably in case of a mains or generator fault.